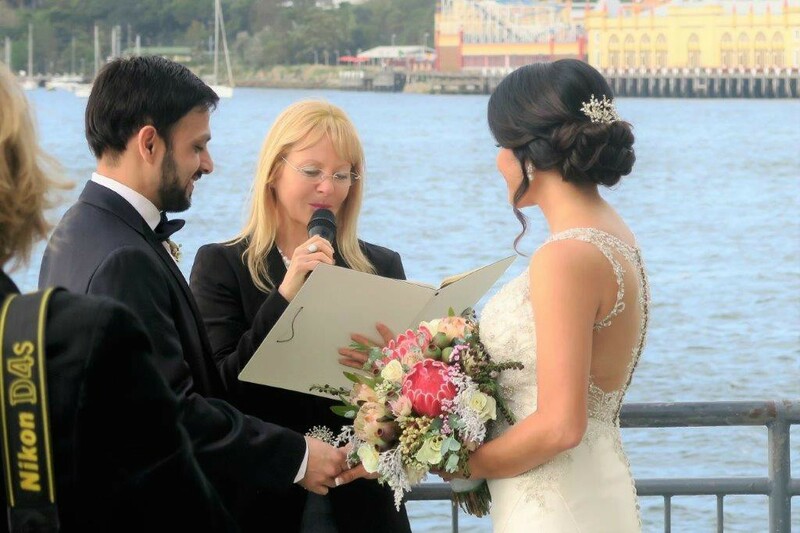 Wedding Celebrant Sydney – A professionally trained and fully insured Sydney marriage celebrant. 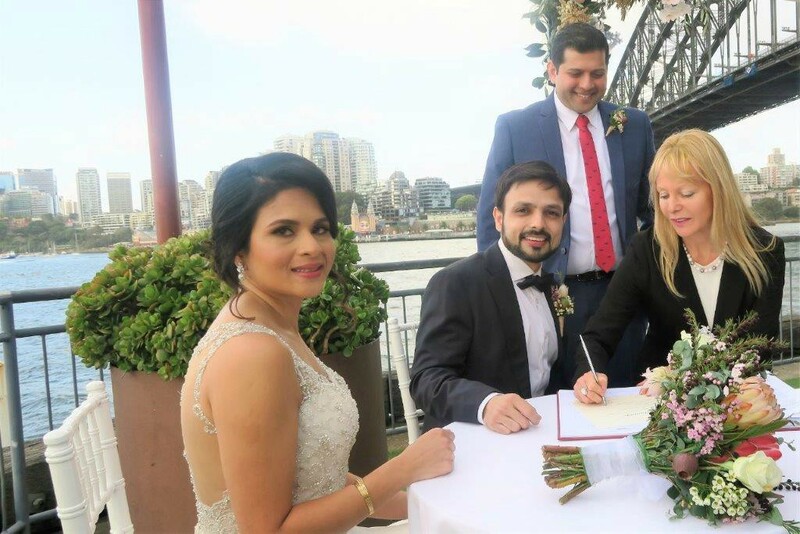 Have a marriage celebrant in Sydney with the passion, skills as well as experience to create unforgettable and personalised wedding ceremonies. 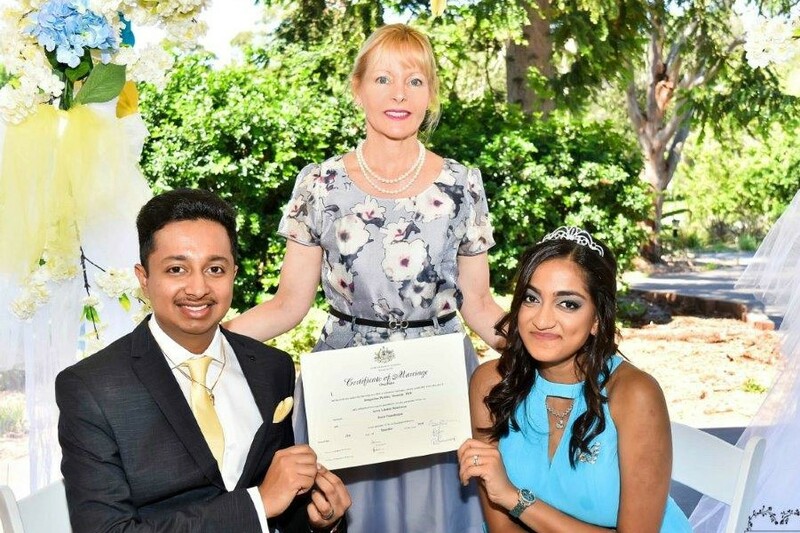 Book a marriage celebrant in Sydney with the energy, aptitudes as well as encounter to form exceptional and customized wedding ceremonies. 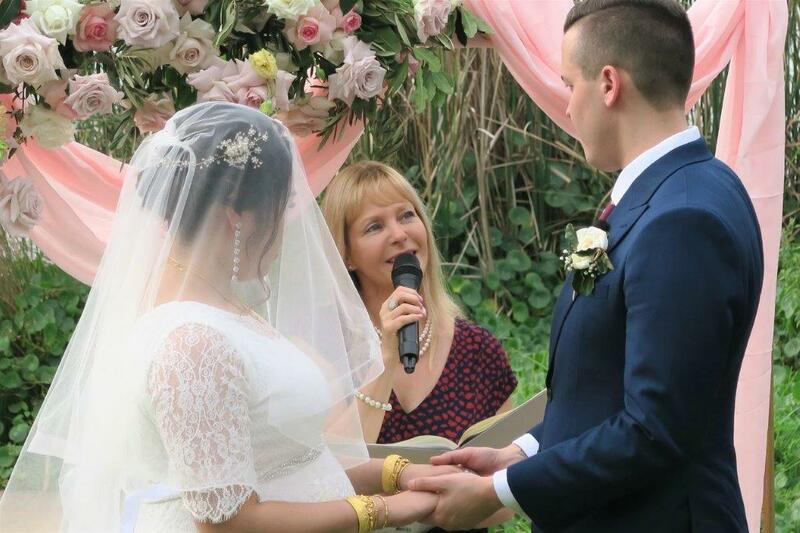 An experienced trusted, and compassionate marriage celebrant in Sydney. A wedding celebrant specialising in creative, individual and unique wedding ceremonies that you will never forget. I will take care of all the legal paperwork. I will easily guide you through the process. Focusing on creating the ceremony your heart desires reflecting your wedding vows, wishes, culture and personalities. It is the biggest day of your lives. Hence, let me help you create a wedding ceremony to reflect your perfect day. I will provide you with lots of ideas for you to choose from. Have a civil marriage celebrant who is passionate about the service she provides. As you are receiving a caring approach as well as a wealth of experience in planning, writing and structuring your ceremony. No matter how formal, small or simple the marriage ceremony may be. My style of delivery is most of all one that is always relaxed and composed. My strengths lie first of all in interpreting what my clients want. Furthermore ensuring that the ceremony is conducted smoothly, with warmth and sincerity. 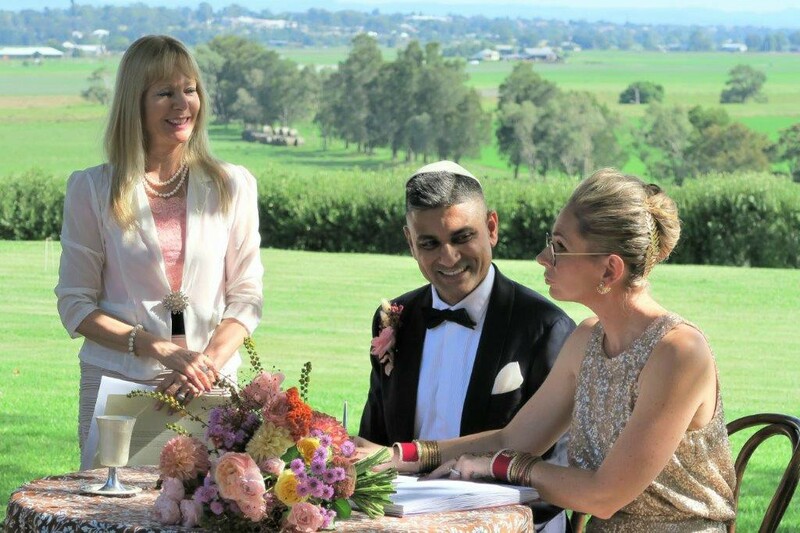 I am confident that as your chosen marriage celebrant in Sydney, you will love your ceremony. You will have many choices when it comes to your wedding ceremony. The marriage ceremony we create together will be personal and uniquely yours. You may include favourite literature excerpts, poetry wedding readings from my collection. Or any other special touches that you bring to the table. You are also most welcome to include your own vows. Receive my Complementary Wedding Package with an extensive range of sample ceremonies/vows/poems and other useful information. Hence, make things easier for you. Whether multi-cultural, inter-faith or more traditional, I am comfortable and easy to work with wedding celebrant. And so it will be my honour to be part of your wedding ceremony. Initial and all unlimited Consultations and communication with your marriage celebrant. A fully trained and experience marriage celebrant who most of all put your needs first. Advise and guide along the way consequently having an unforgettable ceremony. Meetings or and via emails/Skype and on the phone planning your ceremony. Providing my Wedding Complementary Package. Not only stress-free but also all legal work is taken care of. Witnessing & Lodgement of all legal documents. Same day online registration of your marriage. Any ritual such as Chinese tea ceremony, Balloon release (or Butterflies ), candles, sand ceremony, Doves release, Handfasting, Hand ceremony, Wine ceremony, The Rose ceremony, The Padlocks love ceremony and many more. A unique and personalized wedding ceremony celebrating your special story. Typing Draft of Ceremony for your consideration and approval. Arriving early at the ceremony. A presentation keepsake folder for your wedding ceremony. Rehearsal if needed at my place. Your choice of any ritual from the list below. Check the placement of chairs, table and flowers. Your choice of location, anywhere in and around Sydney. Choreographing with you movements of all participants. Portable PA system so the ceremony will be heard clearly. CD/iPod/USB player on my PA. I am there to make you feel relaxed. Conducting your beautiful Wedding Ceremony on the Day. Forwarding all documents to State Registry for the Marriage Registration. Lodgement and Registering your marriage on-line (with the Registry). Applying on your behalf for the Marriage Certificate from BDM (additional fee applies). Get a classically elegant, as well as beautiful and deeply significant wedding ceremony. So why not give me the honour of being your marriage celebrant. With my wedding ceremony service, I enjoy sharing the clients’ special times while contributing in my professional capacity. As well as in many more personal ways. 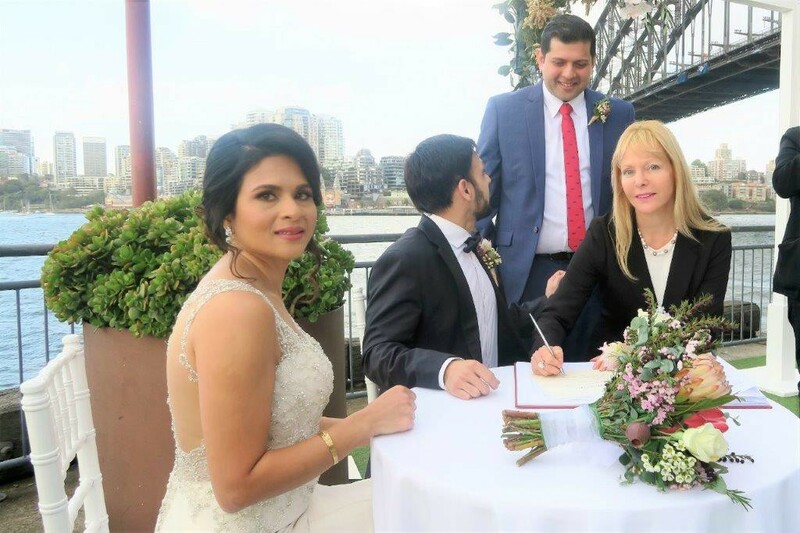 Book a marriage celebrant in Sydney who will help you implement your desires while listening carefully to your ideas and needs. Together we share our skills and so craft a ceremonial ritual. As this will have an uplifting effect on all present while ultimately, leave wonderful memories. Where can a Wedding Ceremony take place? In fact, in Australia, a marriage ceremony can take place anywhere, indoors or outdoors. You can have your ceremony either in a garden or a park, on the beach, a function venue, a restaurant or even in your own home or backyard. There is no restriction on where a wedding ceremony can take place. Just consult with your marriage celebrant in Sydney for beautiful wedding locations. Who should walk the bride down the aisle? There are actually no set rules for that. Traditionally, it always used to be the dad who walked his daughter down the aisle. But is for any reason that is not the way you want it to be, there are other options. You might want to choose both your parents to walk you down the aisle, it can be your mum, stepdad, brother, uncle. Or you might want to walk alone. It is all going to be your choice. Usually, a wedding ceremony takes 20 – 30 minutes. What can make a wedding ceremony longer or shorter, are the number of readings and poems you might like to include. As well as any rituals you can incorporate into the ceremony. I will guide you and present you with many options. You also might like to include your own vows. Can the couple include any readings or poems? I will definitely encourage any family or friends’ involvement in the wedding ceremony. There are many lovely ways in which we can get family and friends involved. They can select a popular piece of poetry from my collection or anywhere else, or they might want to write something personal about the couple that is shared on the day. We just have to make sure that the content accurately reflects the couple, and that those doing readings are comfortable with public readings. Can we play music at the wedding? You can play any type of music off my PA system, or have musicians at the sight. I will advise you on various music options in advance. The bride can walk down the aisle to your favourite song, or sign your marriage certificate with your favourite band playing in the background. There are no restrictions when it comes to music during your wedding ceremony at all and so you can choose something that you both love, as there are definitely no limits to your options. Do we need to exchange rings? Legally in Australia, a couple does not have to exchange rings. At the same time, it is a wedding symbolic tradition still kept by most couples. Usually, the couple also exchanges some words while putting the ring on the one they love. Words which reflect their feelings and aspiration for the marriage. The rings symbolize everlasting love and as the rings have no end, neither is the love between the couple. Can we say our own Wedding Vows? After reciting the required legal wedding vows, you can then say/read your own vows. You can write and put together your own promises, feelings, wishes and commitment to each other. I will also send you my FREE complimentary package. In it, you can find a huge collection of wedding vows which I collected over the years to help inspire you when writing your own vows. You can write your vows together, you can write them separately, you can email me together or separately. Or you can include a poem in your vows that expresses you and your partner. I will then include your vows in the script for your wedding ceremony to make it extra special for you. affordable wedding At no extra cost for up to 15 people you can have your wedding at my place. Affordable midweek weddings – any venues, any place Mon- Thur. Fees for different wedding packages. The Steps In order to help you, please browse on the way to your wedding ceremony. The NOIM – the legal form lodged with your celebrant. Shortening of time to marry. 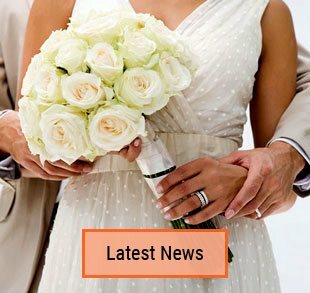 Legal requirements for getting married in NSW Australia. How to get married in NSW. Also Weddings in North Sydney. As well as Weddings in Watsons Bay. contact me Choosing the right Wedding Celebrant for you is a very important decision. So I invite you to find out more about my wedding ceremony service. 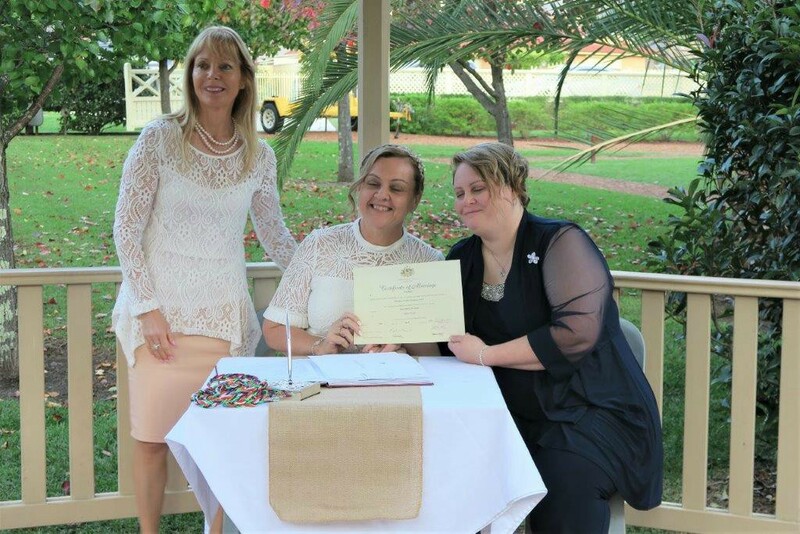 A wedding celebrant who is qualified, experienced, professional and knows all the legal requirements of marriage in Australia. Check that the wedding celebrant has insurance. Make sure that the celebrant agrees with you writing your own vows, on top of the legal ones that are prescribed and compulsory, as well as helping you get started. Make sure they have a good PA system. You should be able to also play your own music on the celebrant’s PA. Check what are the legal wording/ requirements that have to be included in the script. For a wedding with a Jewish flavour. Hi Orna, First of all, Lucy and I feel lucky and very happy that you were our marriage celebrant for our wedding. You are the most brilliant as well as beautiful celebrant in Australia. I can’t thank you enough. Everything was perfect the ceremony was absolutely fantastic because of you on a beautiful sunny Sunday. Definitely, we will never forget you. I don’t remember if I said ‘goodbye’ and saw you out. I can’t remember anything properly I was too busy and didn’t know what to do after the ceremony and I fell asleep without sending you ‘thank you ‘message. It is indeed an absolute pleasure to write this review about Orna. 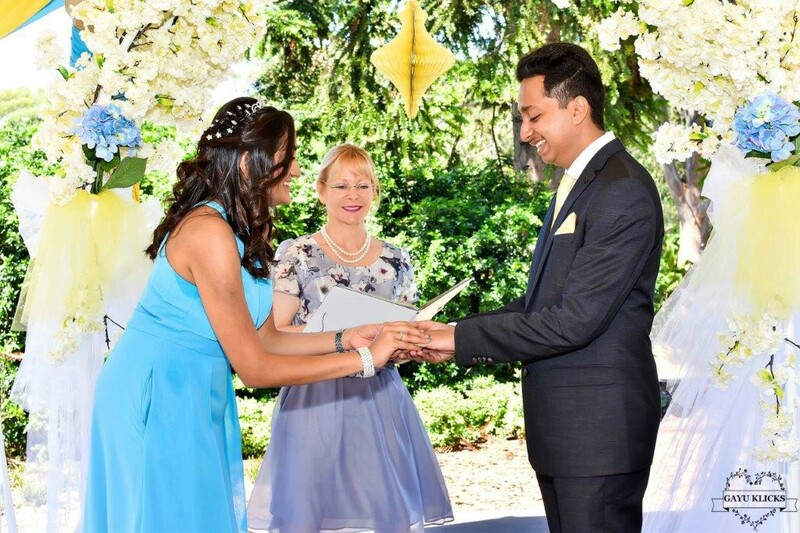 She is an absolute professional wedding celebrant and helped us immensely from the start when I first called her with regards to my impending wedding. 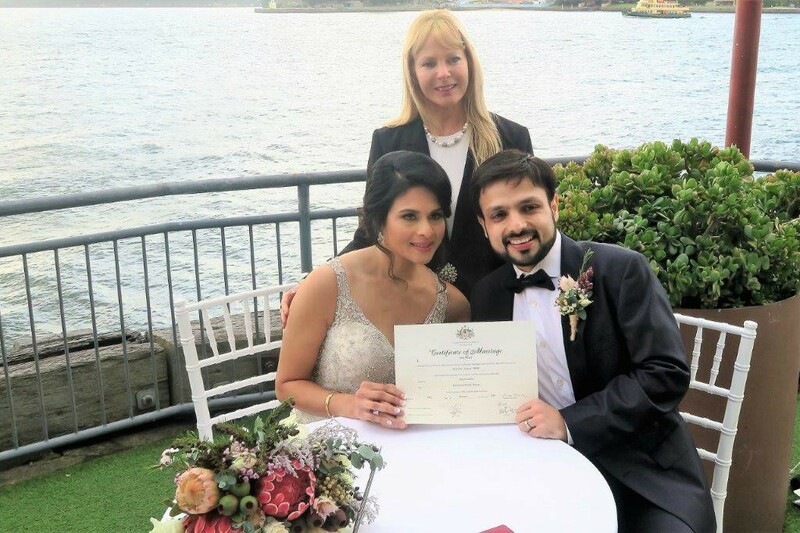 My wife Lakmini takes this opportunity to thank her for the wonderful ceremony and all the help that she gave us before, during and after the ceremony. We have no hesitation in recommending the services. Thanks, Orna. I can’t thank Orna enough for being such a great help to me and my partner, her friendly and personal service is only surpassed by her being available to answer enquiries at any time. She is also great for assisting couples like me and my wife when it comes to helping with the immigration matter. 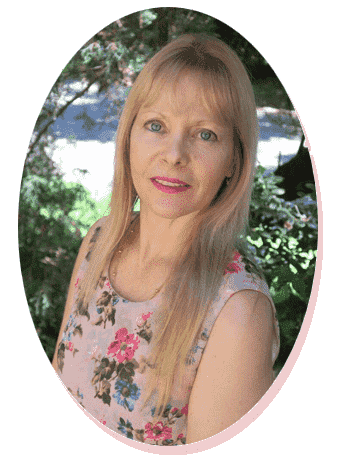 I highly recommend Orna as a wonderful person and services as a celebrant. Orna, we like to thank you for making our day truly special and helping us put together a wonderful and sentimental day not just the ceremony though also the reception. Your knowledge and care was really a blessing and we are blessed to have found you. From sourcing places for the event to preparing the documents and providing a special folder afterwards and following up the certificate. Thank you very gratefully. And highly recommend you. Hey Orna, Thank you so much for everything. We really enjoyed the wedding your presence and the ceremony was very peaceful ?? Thank you so much. First of all, I would like to say thank you for the lovely welcome feeling you gave both to Alex and myself from the day we meet you. We feel honoured to have had such a lovely small ceremony to celebrate our marriage with you and his parents, your words were just beautiful. Thank you for opening your home up to us so we could make this day possible. Thank you for sending the photos through and I will make sure to complete your feedback form and send to you in the next day or 2. Thanks Orna, you did a great job! It was the such a great ceremony and day. We will get you this form and some photos shortly. Thank you. I do not know how to adequately express our gratitude and appreciation for your dedicated services for our wedding. You were absolutely magnificent, not only on the day itself but especially from the moment of our first meeting and became our guide through the process of learning and adopting our Jewish service for our situation. Also, you were always there for us, and with such warmth and confidence. You were completely open to all our suggestions/recommendations and questions. In the end, we had the script that truly reflected who we are now – a mature couple (seniors in fact) deciding to formalize an existing relationship. You particularly helped my now husband John feel comfortable with the Jewish components of the service. In particular, you made all our guests present at the service understand and feel carried through its intricate detail which was unfamiliar to the majority. I felt so proud to stand under your Chupah and watch you guide John, especially with the breaking of the glass. Your calm inner-strength enabled us to walk forward with confidence into our married life. Thank you. Thank you for being a part of our wedding and your speech. It was very special for us both. Thank you for your efforts. Will be in touch soon with some photos! Hi Orna, here are some pictures from Sunday! Hope you are had a lovely day and thank you for helping make our wedding effortless & wonderful! Hi Orna. Becky and I just wanted to say a huge thank you for marrying us on Friday. So everything went absolutely perfectly and we couldn’t be happier. You did such a great job at the ceremony. Everything was perfect and so many people commented to us how beautiful it was. Thanks again for everything. Talk soon. 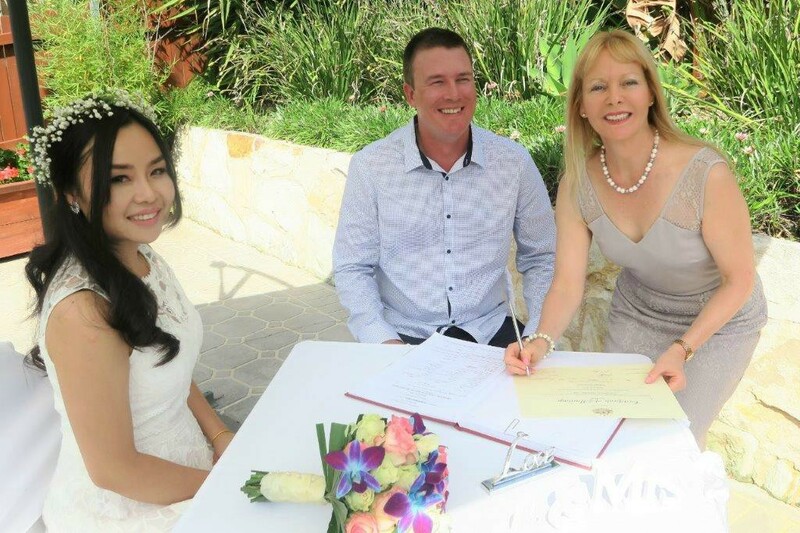 You did such an amazing job as our Wedding Celebrant and we’re so pleased that we picked you! As you were so helpful, professional, calm and organised throughout the whole planning process and on the wedding day. You really were perfect! So hence, the ceremony was so beautiful and we had such good luck with the weather. I will never forget it. Thanks for your support. You’re an absolute gem. Your wedding ceremony is one of the most important milestones in your life. And a wedding ceremony in Sydney is a very special one with the right marriage Celebrant. As there are many wedding venues in Sydney and in the surrounding areas as well as many reception venues. You might choose to have an indoor wedding or you might opt for an outdoor one. 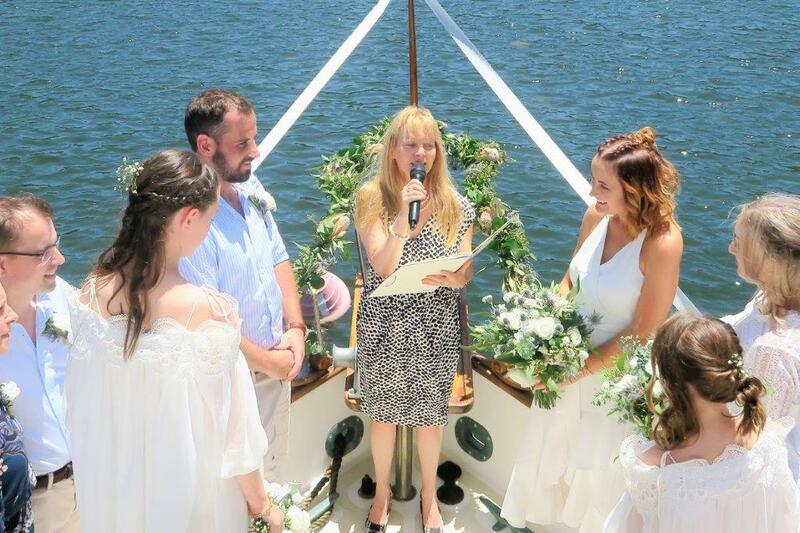 Whether you chose any of the many breathtaking waterfront wedding venues, beach wedding venues or garden venues, my Wedding Celebrant service will always be the same. As a wedding celebrant, I have conducted over 1000 ceremonies in many wedding venues. While some weddings are small and intimate others are much bigger. I look at each and every wedding ceremony, with the utmost respect while each and every couple is very important to me. It is your big day. So I give my heart and soul to each wedding ceremony. 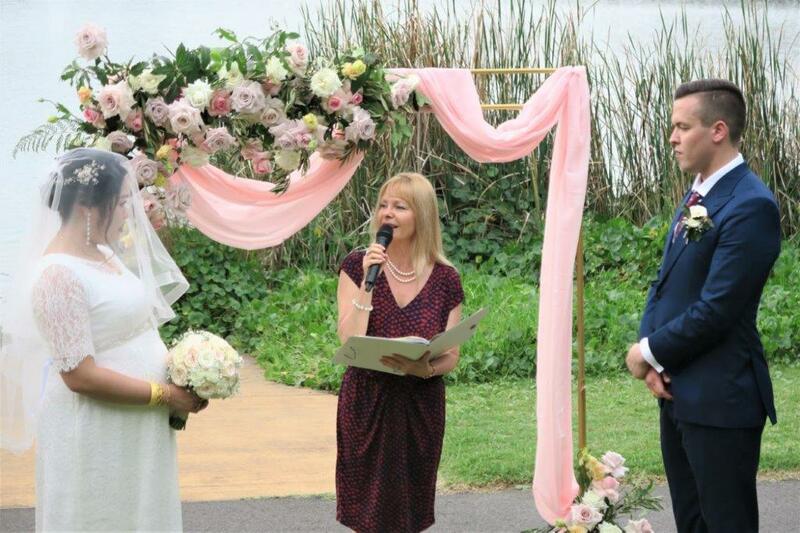 My celebrant service in all the wedding ceremonies I conduct is an all-inclusive wedding package in Sydney. In all the wedding packages I offer you will receive the best celebrant service. As your wedding celebrant, I can offer you many wedding ideas to make your wedding ceremony even more unique. I can also advise you on many wedding locations in and around Sydney. Some beautiful beachfront wedding venues, garden ones and many more. The question is how to choose your wedding celebrant. How do you choose the right marriage celebrant to conduct one of the most important days in your life, your wedding day? 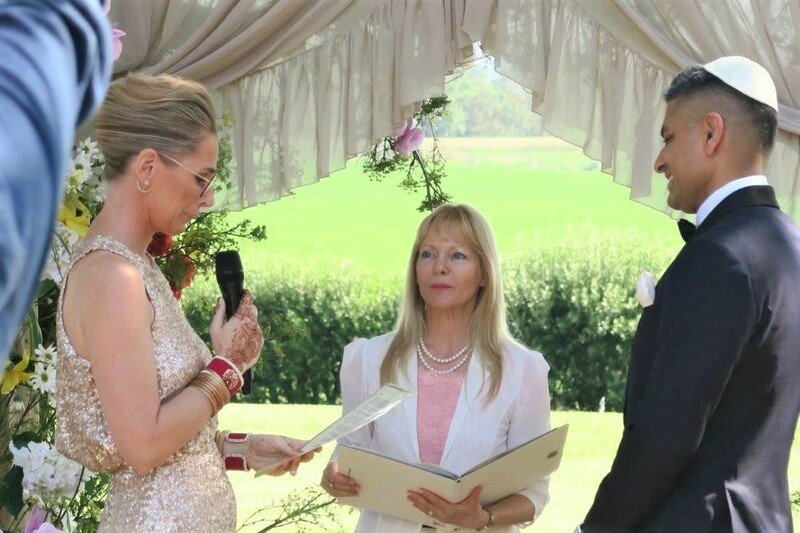 First, make sure your wedding celebrant, is qualified to conduct legal wedding ceremonies in Australia. Have a look at their portfolio, past wedding ceremonies, testimonial page, their social media pages. Meet up with your celebrant and see if you connect with them. 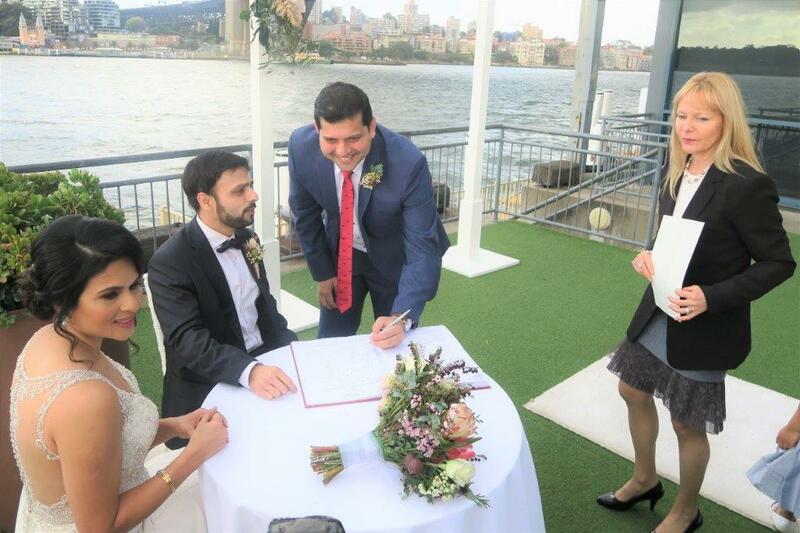 A wedding celebrant that can take care of the legal aspect of your wedding ceremony, marriage registration, marriage certificate as well as conducting a beautiful and organized ceremony on the day. 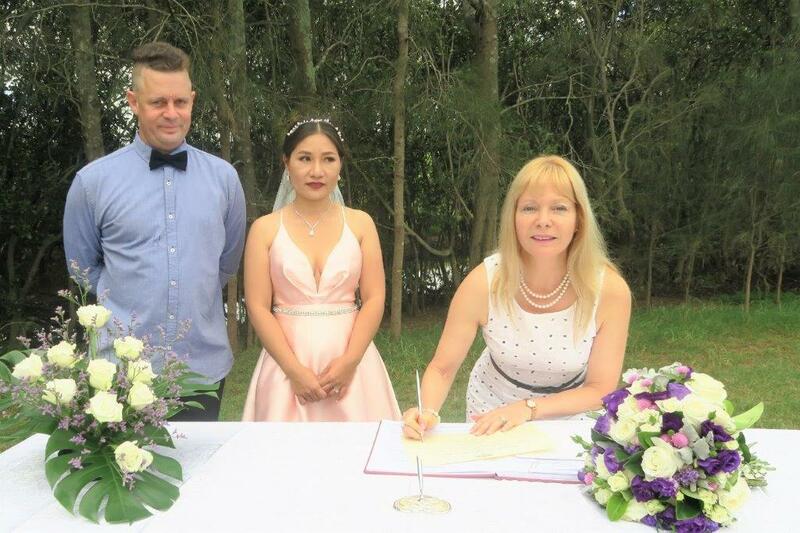 In brief, you wish to enlist a celebrant for your wedding ceremony in Sydney. Presently, there are a tremendous number of celebrants all over Australia. You must be pondering how you may be able to discover the correct one. Here are some keys elements that will assist you to select. Personal Meeting – Before your wedding date, you ought to orchestrate a meeting with the celebrant. 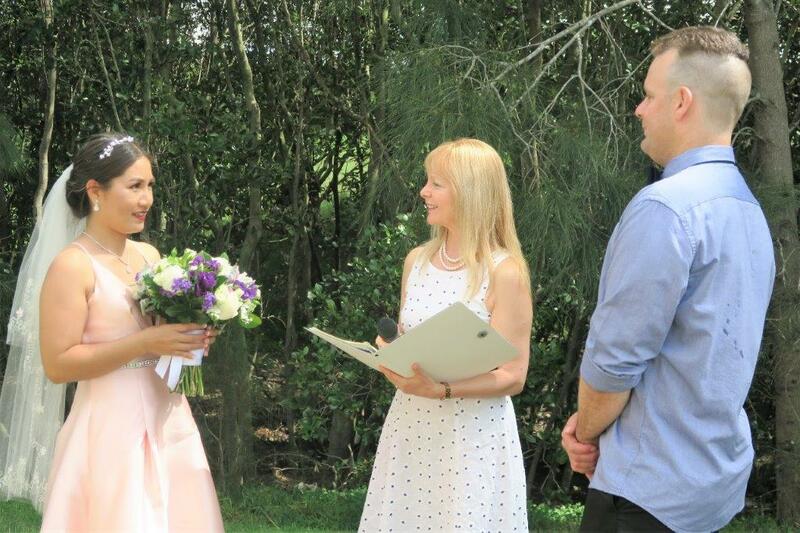 Selecting a wedding celebrant Sydney is all around the chemistry. You must know whether the celebrant can get you want. The face to face meeting will assist you in figuring that out. Fixing Date and Budget The following vital thing you neede to think off is simply securing the date. Celebrants are by and large pre-booked amid the season of the wedding. After all, they need to be accessible for that specific date and time of your wedding. The Past Works Undoubtedlyshould cehck out the wedding celebrant’s past wedding ceremonies. Contact me if you would like more information about my marriage celebrant services in Sydney. Information about the prices and costs for registry wedding or civil ceremony. Please call me on 0423 042 773 or 02 94993550, email me at obinder@optusnet.com.au or alternatively, you can contact me via my website.